Hello lovelies! I couldn't resist! I love how this mani turned out. I actually can't believe the silhouette turned out so well. Which Lion King is in your head at the mo (don't deny it)? For me it's "Circle of Life". 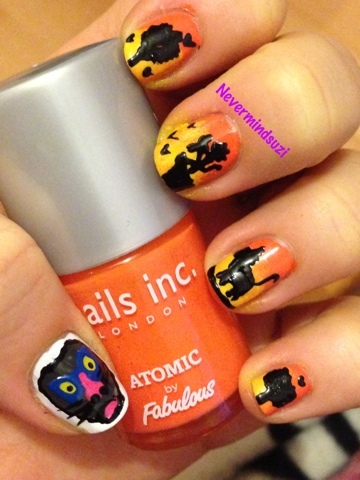 Hakuna matata, what wonderful nails! 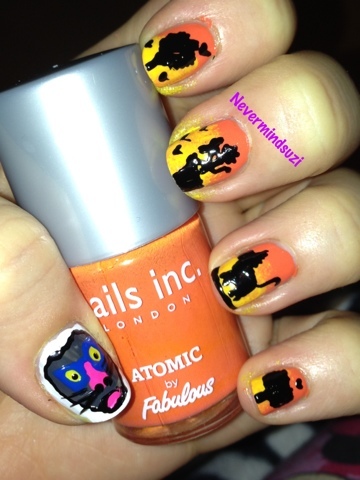 Hakuna matata, ain't no polish fails! Argh. I meant to say that is an incredible sight, especially the four fingers. Circle of life for me too. love your shadows!